Vehicle branding is the most cost effective advertising that money can buy. It ensures that your brand is constantly on show, working all day every day increasing brand awareness and generating sales everywhere your vehicle travels. 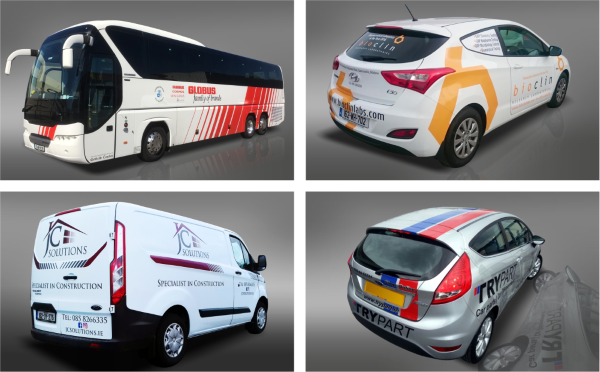 At Spectrum Signs, our team of highly skilled graphic designers and experienced fitters work on vehicle graphics that are striking, elegant, formal or flamboyant… whatever is a good fit for your business model. Read on to see which option fits YOUR business and budget. 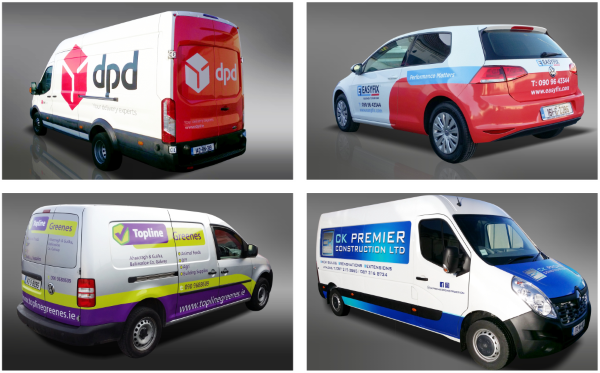 So, you’ve decided to maximise the advertising potential of your business vehicle and you need to know what to do next. The answer is simple. Give us your details and have a chat with us about your own ideas, colour preferences, or any specific area of your business you’d like your van graphics to promote. We’ll help you decide on what level you need to go to and make sure it fits within your budget. If you already have a brand or logo we can use it to develop your graphics, or if you need something designed, we’ll do that for you also. You’ll be involved, informed and advised throughout the development of your artwork until you are totally happy, then we go to print! The guide below explains the different levels of vehicle graphics there are to choose from and be sure to visit our vehicle graphics gallery page if you need inspiration! Awards & Competitions…our achievements say it all! This option covers all of the painted surface of the vehicle even including the roof if desired. The result is a very high impact rolling advertisement for your business that will grab attention wherever it travels. 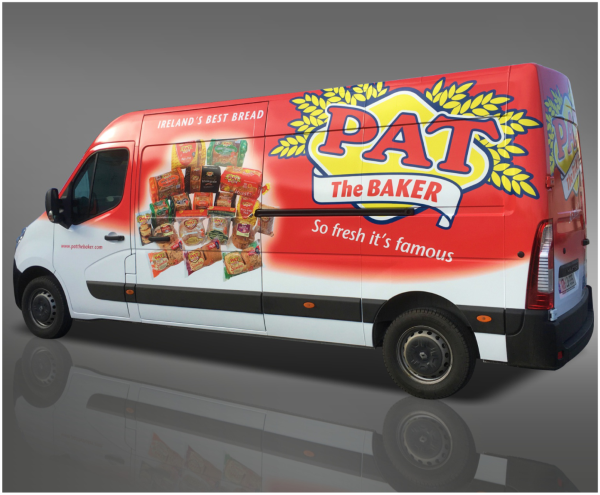 Because all of the vehicle is covered, your branding can be embellished with a striking background or your company colours can be used to maximum effect throughout the wrap. 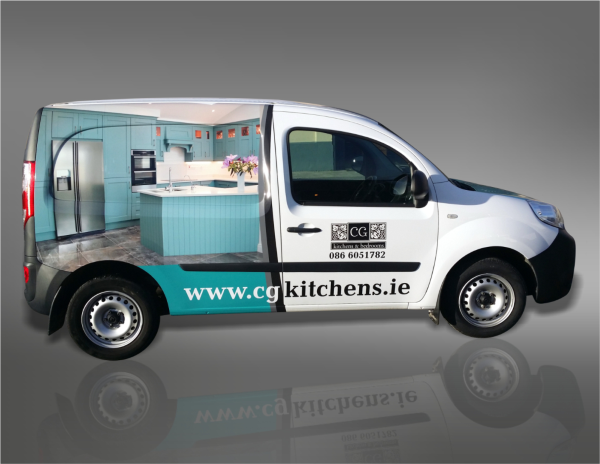 Full vinyl wraps are very popular with business models that want to showcase products in their van graphics, and also companies that rely on maximum visual impact in their advertising such as food & drink companies, florists, garden centres and many more business types that want to create a buzz about their products or services. 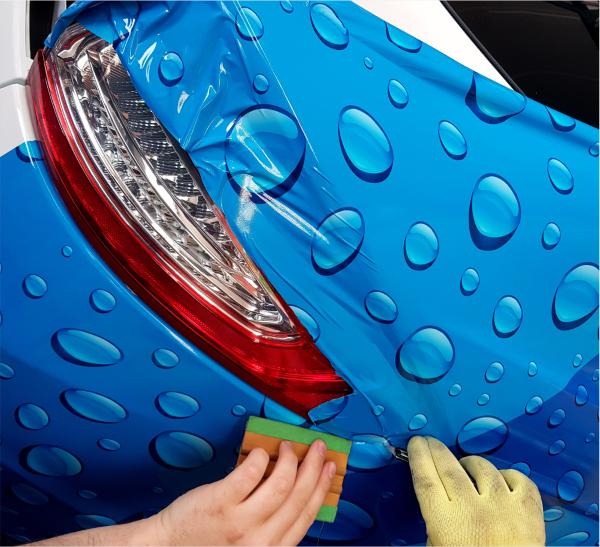 An additional and often overlooked benefit of full vehicle vinyl wrapping is that the wrap fully protects the original paint underneath. When it’s time to upgrade the vehicle and the vinyl is stripped off, the paintwork will be the same as the day the vinyl wrap was applied. This ensures that you get the best possible price when it comes to either selling or trading in and this can be of particular benefit to fleet owners or those who have lease or PCP arrangements. This is the perfect option if a full vinyl advertising wrap isn’t necessary, but it’s also an ideal compromise if your budget won’t stretch to a full vinyl wrap. The results can be equally as striking as a full wrap because the vehicle colour is worked into the overall design, and smaller details can be vinyl applied to the unwrapped areas bringing the whole design together. It’s a good solution for clients intending to upgrade older vehicles in the near future, but most often, clients choose this option simply because it is the best fit, best suiting their needs. This option frequently involves wrapping the long body indentation that features on most larger vans, it may involve wrapping just the back doors, or sometimes it may be the side doors or bonnet. The wrap is generally supported with additional vinyl applied graphics elsewhere on the body. It’s a good solution where a there is a need to display product imagery or just to add a splash of colour. Also, partial vinyl van wrapping is suitable for business models suited to a more subtle approach to their vehicle branding. Vinyl applied graphics when well designed, are elegant, tactile, clean and sophisticated. Company colours can be used in a versatile way throughout the design. This is very frequently the preferred choice for clients who need a more formal approach. We design graphics that are clean and appealing and the results are outstanding. This is the cheapest option available to our customers because it doesn’t require any printing or lamination as stock colours are used for this technique. There are many colour options and combinations to choose from. Being the cheapest option also makes it the only option for clients managing tight budgets, but regardless of cost, our designs will always deliver.